We are honored that OLLI generously supported the 1-day 'Building Bradley' fundraising campaign. Through your donations, $1,550 was raised from 39 donors to support our OLLI Student Volunteer of the Year Award (which is part of our annual giving campaign). Thanks to you, we will use these funds to recognize two deserving Bradley students with $1,000 scholarships in appreciation for their exemplary volunteer service in the community. In last week's newsletter, we shared information about the quarterly OLLI membership fee that will be implemented this fall. With the fee - a modest $5 per quarter - you can expect to see some advantages which we have detailed on the OLLI website. 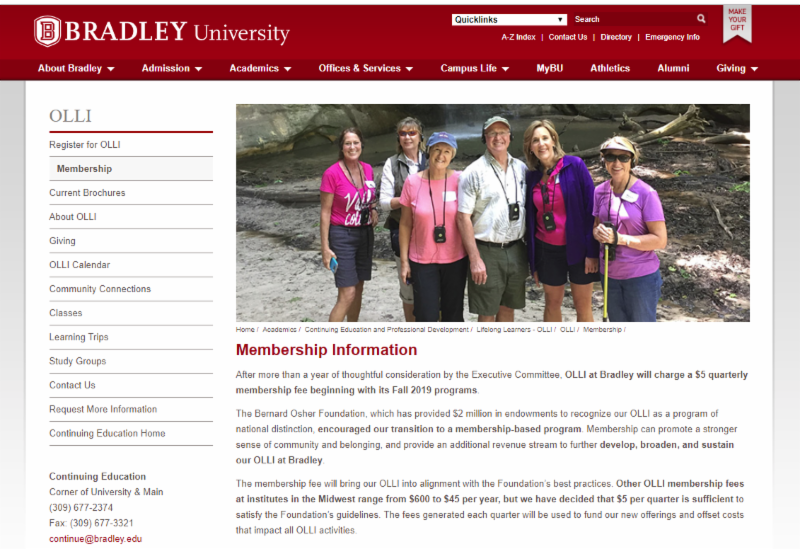 For more information about OLLI Membership, visit the new Membership Information page (pictured) on the OLLI website where you can also view the Membership Fee FAQs. 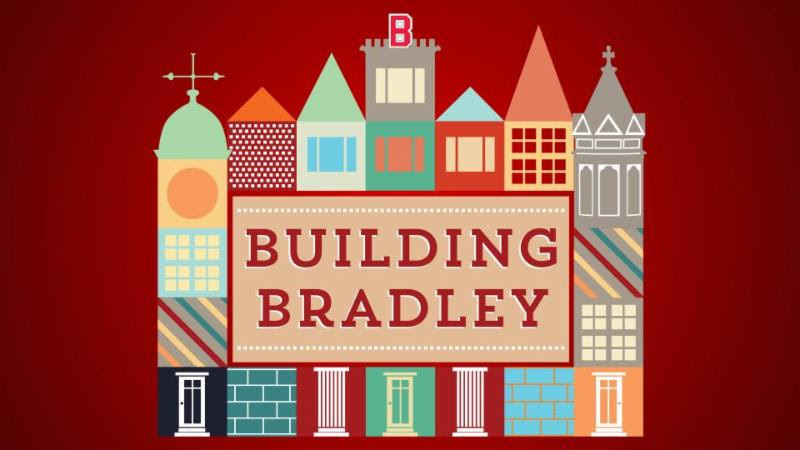 If you have any questions, please call Michelle Riggio at (309) 677-3900, or email Michelle at mriggio@bradley.edu. Thank you for your interest in OLLI's newsletter. We email the newsletter to nearly 3,000 people every Tuesday to keep our members up to date on upcoming OLLI programs and Bradley University events. If you would like to receive the OLLI newsletter via email, please send your email address to Michelle Riggio, Continuing Education Assistant Director, at mriggio@bradley.edu. We have also created an online archive of recent newsletters. Simply click on a date below to read that week's newsletter. We appreciate your interest in The Osher Lifelong Learning Institute at Bradley University! If you've ever wanted to own a polo, sweater, or accessory featuring the OLLI logo, here's your chance! We've opened up an online store with Lands' End, where you can quickly and easily order a variety of apparel and promotional products customized with the OLLI logo. To visit the store, please click here. Once you've chosen an item and quantity, select "Apply Logo," and the OLLI logo will appear on your product. It's that easy! If you have questions, please call Lands' End at (800) 587-1541.